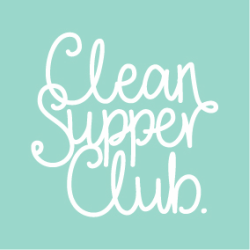 A Clean Supper Club family favourite and the perfect guilt free dessert for ice cream lovers. Full of juicy strawberries and great to share. Remove bananas from freezer 30 minutes before use and leave on side. Drain and rinse the cashew nuts & add to the food processor & blitz until smooth. Add remaining ingredients and blend until smooth, this can take up to 10 minutes. Pour into containers, cover and place in freezer. Freezing will take 3 hours or more depending on container size. Place 2 tbsp. of chia seeds into a 250g jam jar fill with water, seal & soak in the fridge overnight. This will make plenty for use in smoothies or chia puddings. This recipe requires 3 tbsp. of the soaked chia seeds. Place strawberries into blend and blitz until smooth. Tip into bowl & add chia seeds, lime juice and stir well. Take the Strawberry Nice Cream out of the freezer to allow it to soften for a while before scooping into glass jar, glass or a bowl. 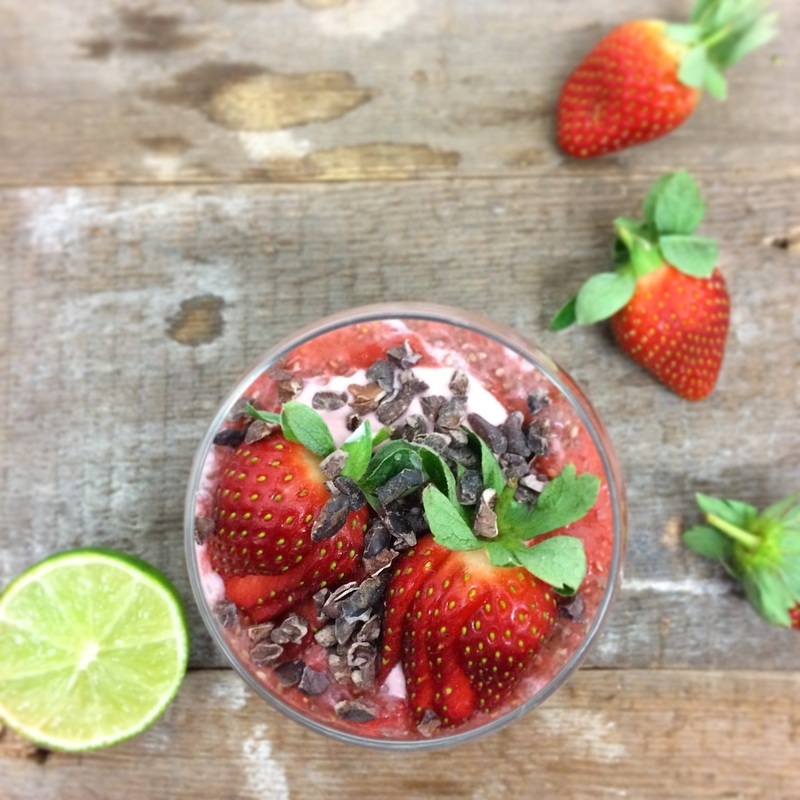 Scatter with raw cacao nibs and top with a strawberry.